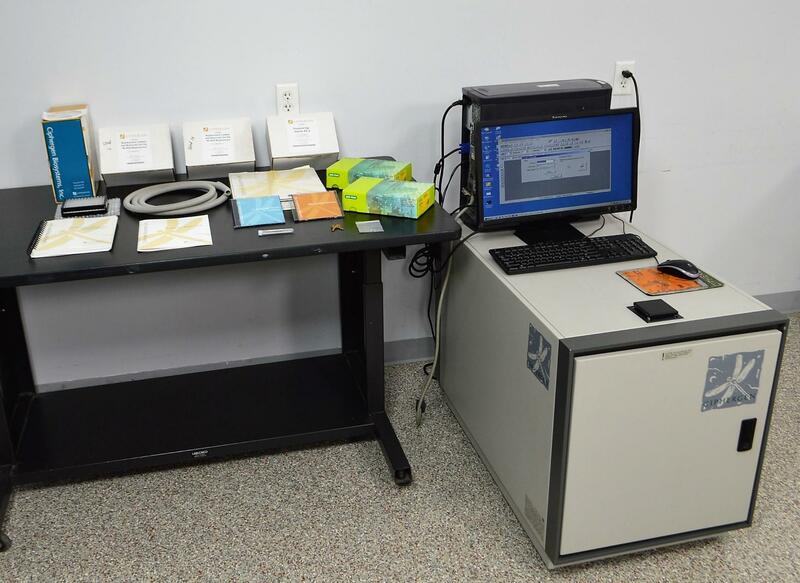 Bio-Rad Ciphergen PBS IIC ProteinChip Reader Analyzer w/ PC- Software - Assays . New Life Scientific, Inc.
- Pumps Tested - Edwards vacuum pump needs rebuilt or the system may have a leak. Our in-house technician inspected and tested this Ciphergen ProteinChip Reader. Technician tested turbo pump and vacuum pump, and noted the vacuum pump only pulls down to 17 microns and recommends rebuilding or replacing it. The technician speculated that it is also possible that the pumps are fine and the system may only have a leak in it. Software connects to instrument and all other components are warranted functional. Due to the pumps not reaching the required vacuum level, the laser and detector could not be tested. However, our warranty covers any defects with these parts of the system as well.